FEATURE – There is a good reason Iron County bears that name. 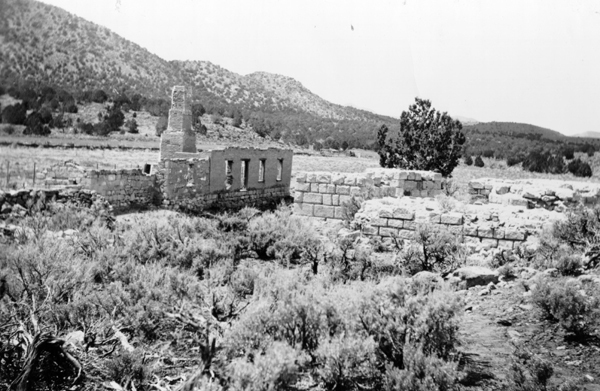 Despite brimming optimism, the church’s first try at iron production right after the first settlers arrived in Cedar City didn’t go very well. By 1858, it closed, not having produced iron of the quality needed to help the pioneer effort. “Such fruitless exertions to make iron seems to be exhausting not only the patience, but the vital energies, and power of the settlement,” Young wrote in an Oct. 8, 1858, letter signaling the close of what was called the Deseret Iron Company. Peter Shirts discovered the site and others deemed it an excellent place for a city that could support 5,000 residents with adequate water, coal, building rock and clay for bricks. 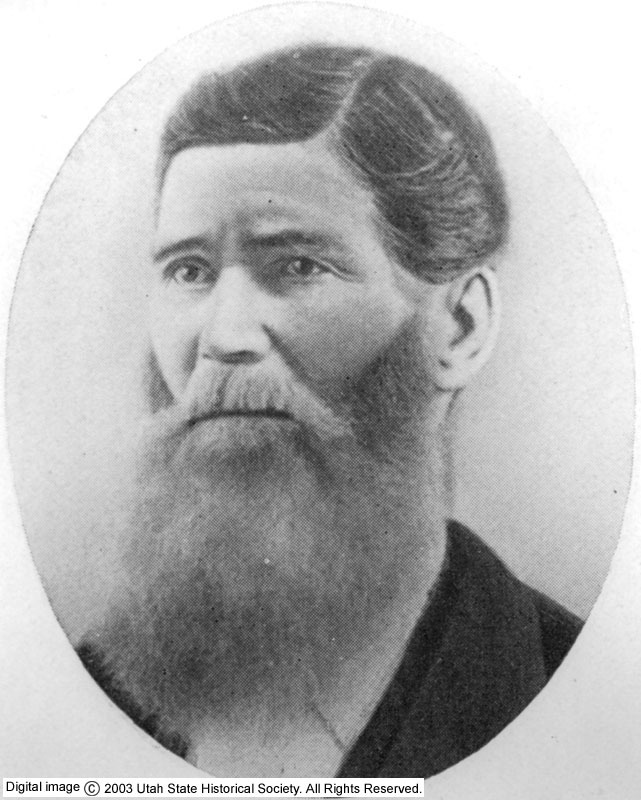 Hanks organized the Union Iron Company (later the Great Western Iron Company) in June 1868 and served as its president with Shirts, said to be a quiet, restless man, serving as one of the directors, perhaps as a reward for discovering the location’s iron deposits. Some of the iron laborers who populated the town had been part of the first attempt to manufacture iron. Exempt from territorial taxes, at first, the town grew rapidly. The 1870 census noted that there were 19 households and a total of 97 residents living in Iron City. In 1875, there were a few hundred residents. By 1871 the town boasted a brick schoolhouse, boarding house, general store, butcher shop and even a post office. That same year, its furnace with a capacity of 2,500 pounds became operational. A major reorganization of the company in 1873 resulted in the construction of a new blast furnace, air furnace, pattern shop and company office. 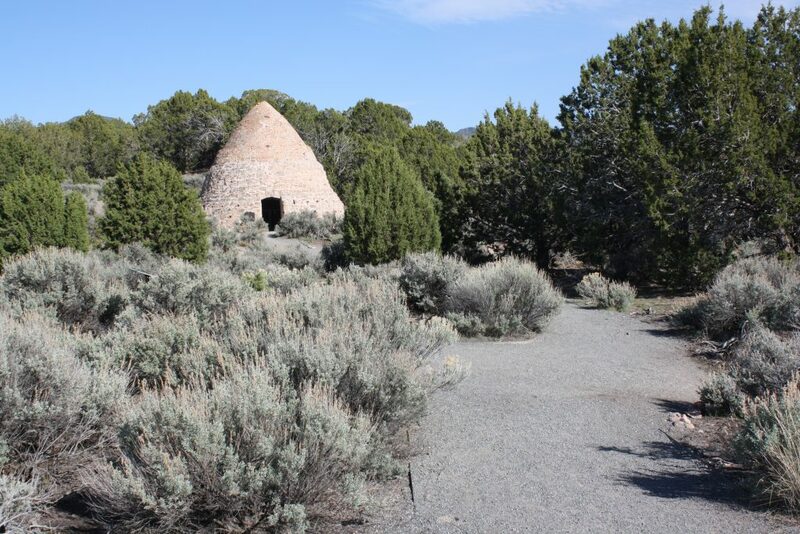 The company also had two kilns used to smolder juniper and pinyon wood in an oxygen-reduced environment to produce the charcoal used to process the iron. 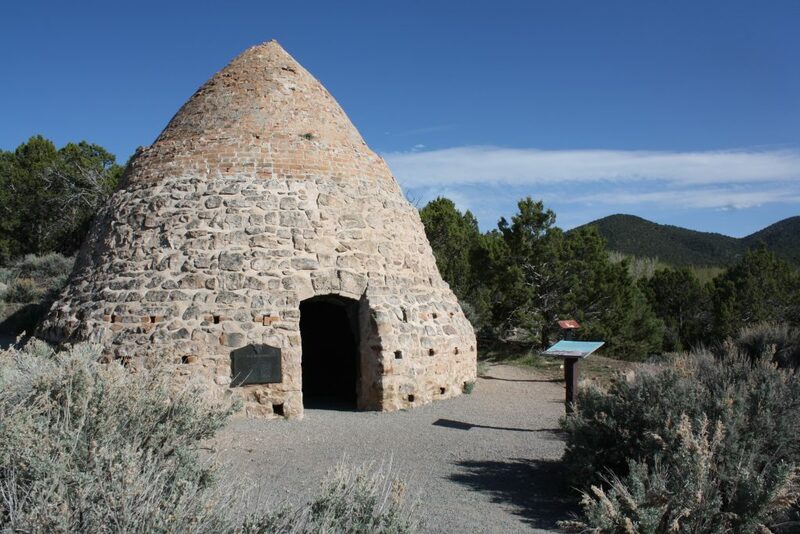 It took approximately 12 days for one kiln to produce 50 bushels of charcoal, which was enough fuel to produce 1 ton of iron, according to an interpretive sign near the lone existing kiln. During its short lifetime, Iron City supplied ore to the Utah Western Railroad, some Nevada mining companies and, most notably, the iron used to sculpt the 12 oxen that support the St. George Mormon temple’s baptismal font. The bulk of what the company manufactured, however, were small items such as andirons (bracket supports where logs were laid for fireplaces), hand irons for ironing clothes as well as bootjacks made in the shape of pine beetles, among others. Selling these small items to poverty-stricken settlers was no way to raise adequate capital. The problem facing Iron City was logistics, Paul said, because it was difficult to transport the iron to outside markets and the company could only sell the products it made to the local population for so long. In fact, one of the original company’s founders, Seth Blair, wrote to the Deseret News pleading the erection of a foundry somewhere in Utah that could turn the company’s cast iron into steel or wrought iron, but to no avail. Ironically, the town grew rapidly just before its demise. For example, the monthly payroll between 1874 and 1875 rose from $500 to $4,000, Bate reported. At its peak, Iron City’s furnace produced 800 pounds of quality iron about every eight hours. Transportation challenges were one of the big reasons Iron City’s manufacturing did not take off. For example, in 1874 it cost $40 per ton to freight iron from Iron City to Salt Lake City. Railroad competition was lowering freight rates from the east, making eastern iron cheaper. Plans were in place to build a railroad spur from Salt Lake City to Iron City with a route that would travel through other mining districts, thinking the demand for iron in Salt Lake City would justify it. Hanks also dreamed of building a narrow-gauge railroad to the Colorado River to tap into southern markets. None of these ambitious transportation plans every materialized, however. 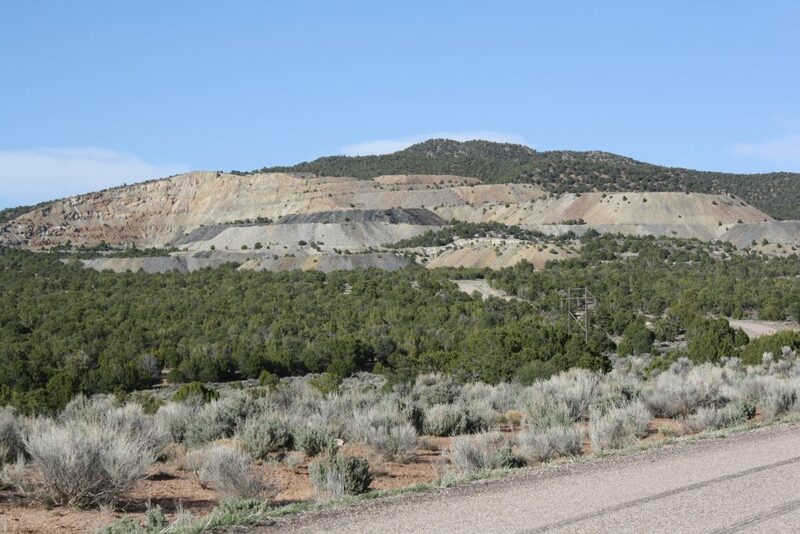 The panic of 1874, an economic downturn, contributed to the company’s failure as did competition from several other iron companies in the territory, including the Ogden Iron Works, the Utah Central Iron Company and the City Creek Iron Mine. Another problem that signaled the death knell of iron production was lack of sufficient local capital to keep the business going and to possibly expand it. Despite many attempts to attract outside investors, Hanks and his company’s attempts fell short. 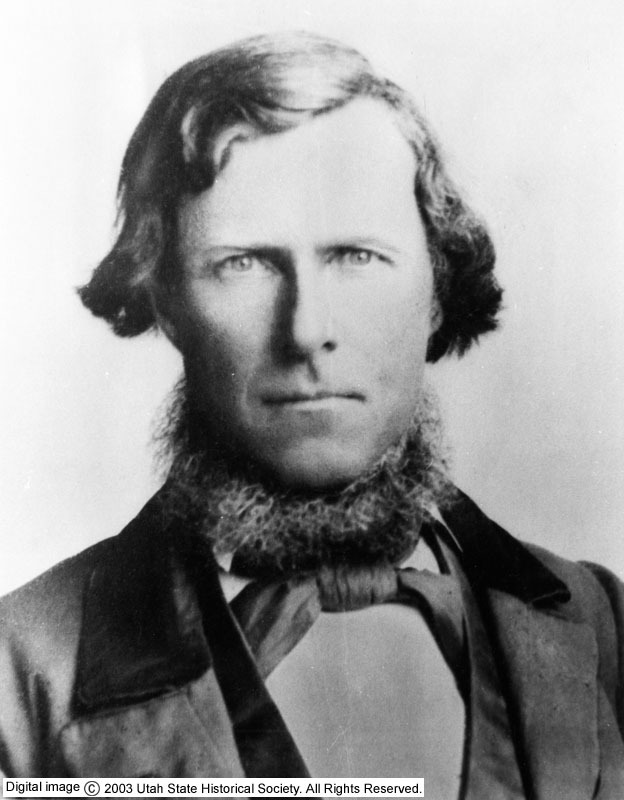 Additionally, in 1874, when the board of directors nearly had some much-needed cash in hand to keep the iron works going, they wrote Young for advice on the situation, and he advised against taking the capital, preaching the “United Order” at the time. “The board as a whole felt that the purpose of the iron industry was to build up the kingdom, not to build up the iron industry at the cost of the kingdom,” Bate wrote. The Mormon church actually tried to revive iron production in the 188os and even started grading a railroad line between the coal mines near Cedar City, the iron deposits at Iron Mountain and Iron City’s furnaces, but church leaders were forced into hiding to avoid prosecution for polygamy and were unable to pursue development of the new company. 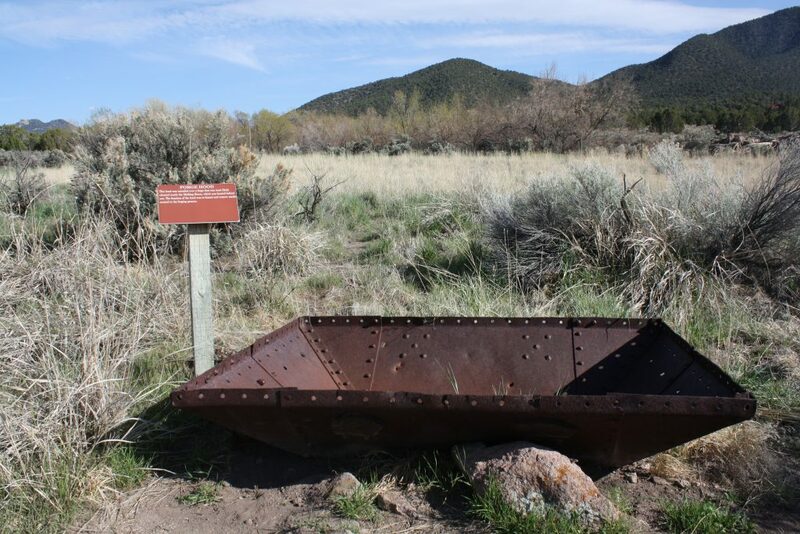 The dreams of these pioneer industrialists to exploit the county’s vast iron deposits was not realized until after 1923, the year the railroad finally came to Iron County. With the railroad in place, Columbia Steel Works began production in 1924. U.S. Steel purchased Columbia in 1935 and soon after shifted its operations to Iron Mountain, expending millions of dollars that successfully harnessed the underground wealth through open-pit blasting. For a time, iron mining was a major economic engine of the county. Iron mining, however, ceased in the mid 1980s largely due to soaring production costs and price undercutting by foreign sources. Evidence of this golden age of iron mining can be seen on the mountainsides near Old Irontown. Truthfully, detailed information about Iron City, which morphed into the name Old Irontown, is not available. With no plat map, there is no way of knowing the location of buildings whose ruins did not withstand the test of time. 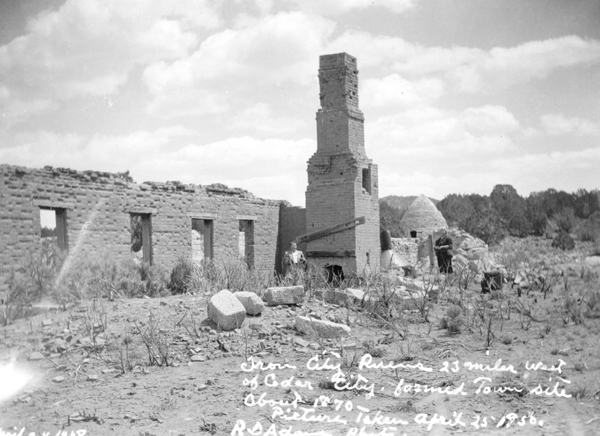 Even information about buildings whose ruins are still visible is lacking. 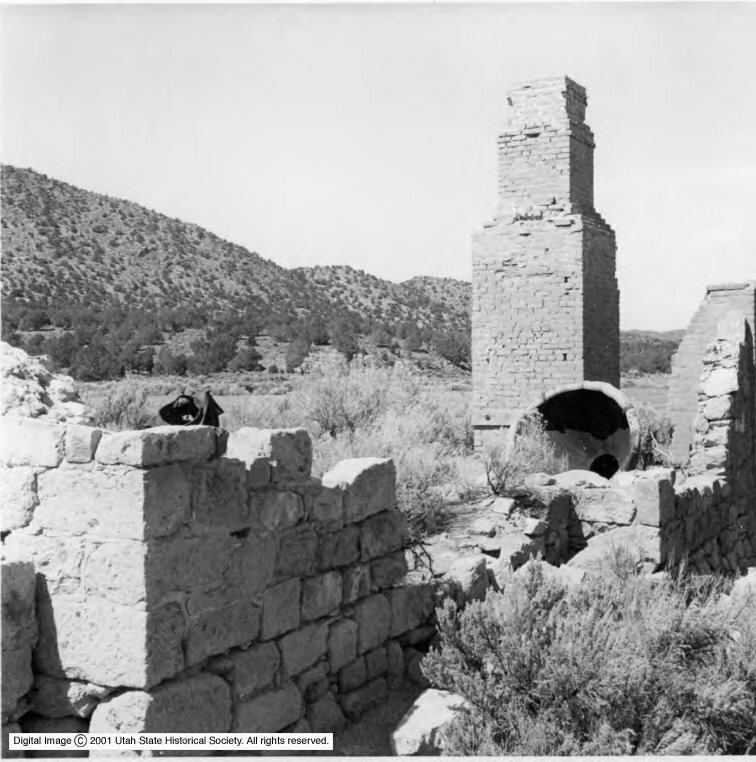 For example, no one knows who lived in the home whose ruins stills stand east of the kiln along the park’s trail. Paul said the one intact kiln is there by sheer luck because over the years locals have taken many stones from the ruins to use in their own homes, especially in their fireplaces. 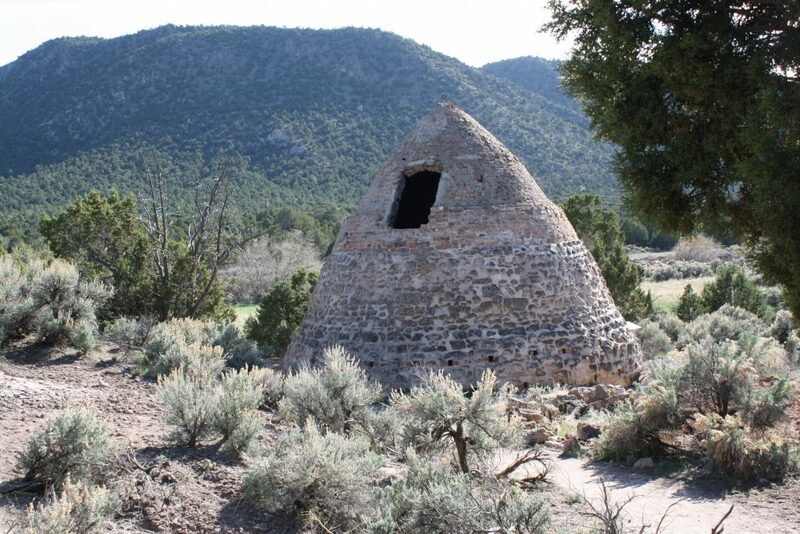 The Sons of Utah Pioneers group has played a large role in ensuring the stabilization of the kiln. For example, approximately every 10 years the mortar is repointed, which involves removing loose mortar joints and refilling them. Archaeological work has gone on there in the past, Paul said, but it’s expensive. Measures taken to try to prevent looting and destruction are controlling access to the ruins with a fence surrounding it, Paul said, as well as installing a railing inside the intact kiln so visitors can only go so far into it. Old Irontown is surrounded by many private residences. Paul said the infrastructure is out there because the area was going to be an MX Missile site in the 1980s, but it never materialized. The ghost town was in private hands until 2000, when the landowners donated it to the state, at which time it became an unstaffed satellite state park operated by Frontier Homestead State Park (formerly known as Iron Mission State Park) in Cedar City. Paul said only about 5,000-6,000 visitors see Old Irontown each year, but that visitation is hard to track because the best record they have is the visitor log at the site. Some locals have even admitted to Paul that they’ve driven that stretch of Highway 56, he said, and have never take the time to stop and see it. “Most people who go out there really enjoy it,” Paul said. 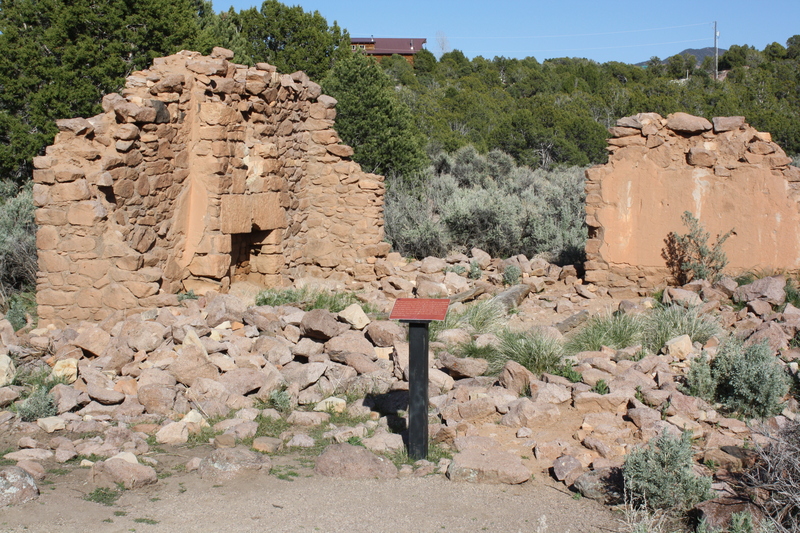 Old Irontown is located nearly 24 miles southwest of Cedar City via Highway 56. Approaching it from the east, one will see the Old Irontown sign along the highway. Turn left (south) off the highway just after the sign and proceed 3 miles until reaching the ruins. 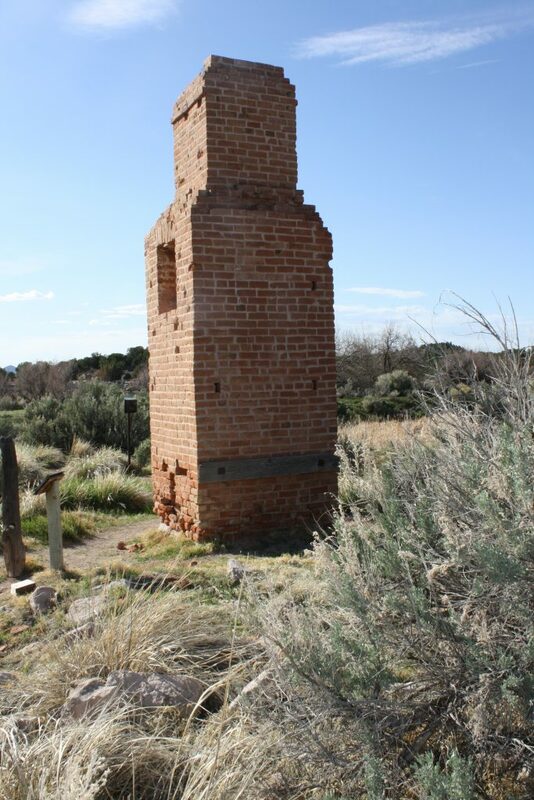 Once parked, take the Discovery Trail, which leads visitors past all of the existing ruins at the site, including the intact kiln and the remains of the old molding house, whose most prominent feature is its nearly intact chimney. 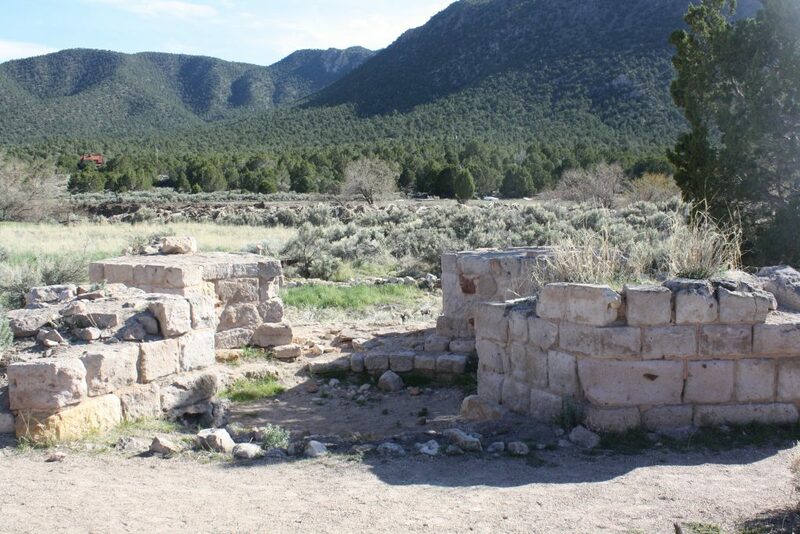 Do not miss heading east along the trail through the juniper and pinyon pine forest to the remains of a private residence. Interpretive signs explain a little about the site’s history and little plaques identify some of the ruins as well as some of the plant life in the area. The ruins make an excellent picnic spot complete with a pavilion and pit toilets. For more information about Old Irontown, visit the Frontier Homestead State Museum website. I visited the site about 10 years ago. It was interesting to walk around and think of the past. But looking at it logically, I kept thinking to myself, why? It makes no sense at all.